There is stalemate in talks between the Federal Government, through the Ministry of Labour and Employment, and Organised Labour. President of the Nigeria Labour Congress (NLC), Comrade Ayuba Wabba, has said the National Minimum Wage Committee is yet to submit its report to President Muhammadu Buhari because it is yet to agree on a figure and the failure of the federal government to come up with a figure to be agreed upon. 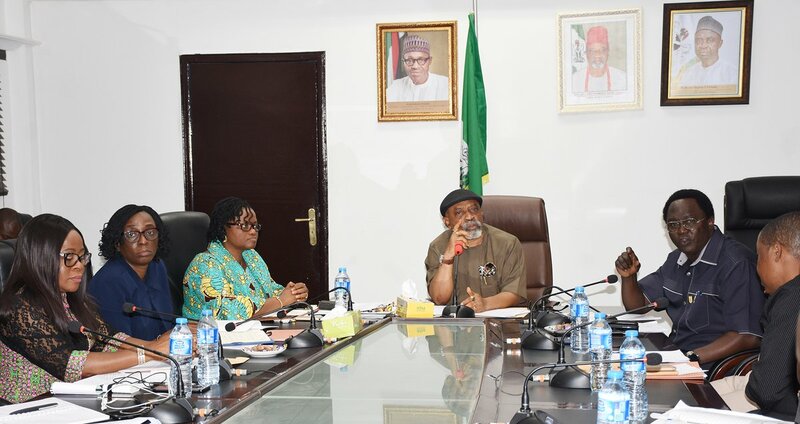 He said that while the committee set up on the new minimum wage has concluded its deliberation, the Minister of Labour, Senator Chris Ngige, told the committee that the federal government needed to consult before coming up with its own figure, a position he said negates an earlier agreement to work within its timeline. The minister told newsmen in Anambra that state governors were frustrating the committee’s work but Wabba said 21 states actually made presentation to the committee with many quoting figures while some others said they would abide by whatever decision was arrived at. He said organised labour has called a meeting of all its organs, with a view to informing them of the development, pointing out that a definite position will be announced after the meeting as the new minimum wage is already two years behind scheduled. “I can say clearly that states have sent in memorandum. Infact, 21 states sent in memorandum, with about 12 quoting figures, NECA has submitted a figure, organised labour has submitted a figure. What we thought was that we should be able to complete that assignment by September 5.